This new year will be a year full of adventures, risks and leaps of faith. I see this year as a year for me to take action and to put my decisions into actions. January 4, 2017 was the first of the many days that I will go on adventure to places never been to. I planned to get a non-professional driver’s license. 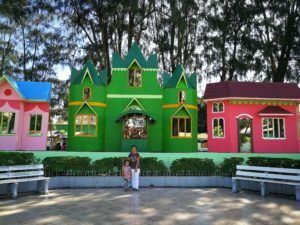 They say that it’s very easy to process documents in Dumaguete City, so I decided to go there – for the first time. I thought I would be travelling alone, but, I am accompanied by my two beautiful nieces – Charish and Cate. So, off we went. 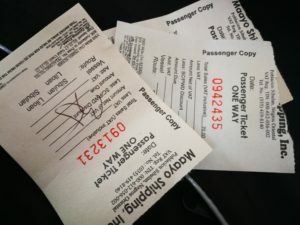 We rode a Ceres Bus Liner from Malabuyoc, Cebu to Bato Bus Terminal. I paid Php 35 and Php 22 for Charish. 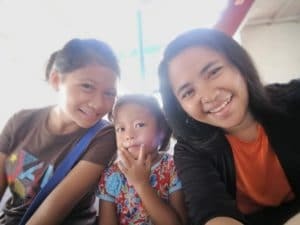 After that, we rode a tricycle, around 20-30 minute ride to Liloan Port. Since it’s my first time (Charish had been there, but unfortunately she wasn’t that observant) so, I followed two elderly since I heard them going to Dumaguete, as well. I followed them and eventually arrived at the ticketing booth for Maayo Shipping. I was about to look for the ticketing booth for the fast craft or the ferry boat. However, since the departure of the Maayo Shipping is 9AM and we arrived around 8:45 AM, riding the ship would be a wiser choice than looking for another. Driver: Ay, dili man ko muadto didto, pangita lang mo ug easy ride sa eskina. (Ah, I won’t go there. Just find an easy ride in the corner.) Pointing me to the highway not far away. That shook of mine was a blessing. Actually, prior to arrival, I planned to visit the San Antonio de Padua Church, since my sister told me it’s just near the pier. Indeed! 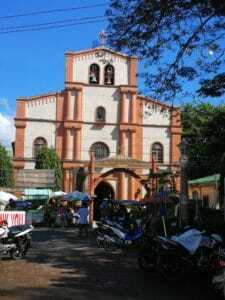 As we were looking for an easy ride, we walked towards the corner and to the left, trying to find a sight of the jeepney, we saw the bell tower of the church. I was stunned to see how God has blessed us on our journey. We hurriedly bought white candles and went in to find the candle area. On our way to light the candles, there is a fat woman (with short hair), extending her hand, opening her palm and said, “Singko.” I reached for my wallet, but before giving the coin to her, I asked, “Para sa asa gani ni?” (What is this for?) She answered, “Para palit pagkaon.” (To buy food.) Then I gave the 5-peso coin to her. I glanced and saw another woman with short hair, and I said to the kids maybe they are placed here for them not to wander everywhere. I reached for my wallet and looked for coins. Me: Okay. Then gave her the coin. I smiled and she also smiled back. T’was a great day and I was looking forward to the greatest day ahead. After saying some prayers, we went off. We asked a candle vendor where can we find an easy ride to Robinson’s. Then, she pointed us to the Caltex gasoline station across the street. Off we went and while were walking towards the corner, we paused for a while and took a few photos of the church and their beautifully-decorated park. To make the long story, short, we weren’t able to find an easy ride that will lead us straight to Robinson’s. Instead, we had two tricycle rides to Robinson’s. 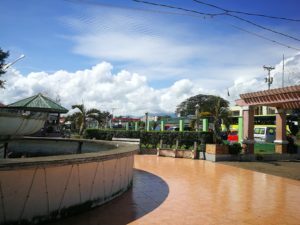 Luckily, drivers and passengers were very much welcoming, allowing us to sit back, relax and enjoy the beauty of Dumaguete City. Will definitely have a visit or two to this beautiful place, yet to be discovered. 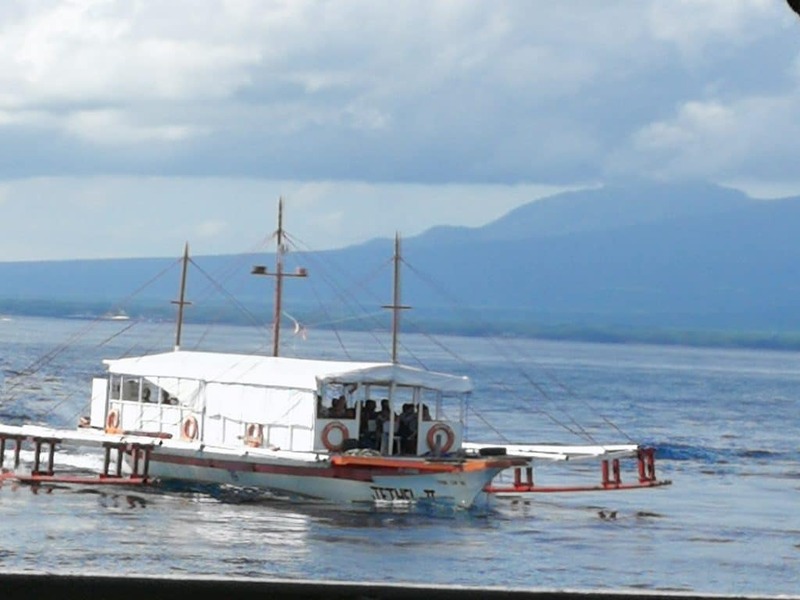 Look forward to the part 2 of this one-day, yet very fulfilling journey in Dumaguete City. Stay tuned!